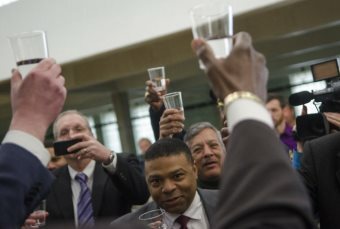 AFRICANGLOBE – A group of three experts who report to the United Nations on Wednesday called the disconnection of water to tens of thousands of homes in Detroit a violation of international human rights. The United Nations Office of the High Commissioner for Human Rights issued a news release criticizing water cut-offs that started taking place when the Detroit Water and Sewerage Department adopted a more aggressive approach to collecting debt in March. “Disconnections due to non-payment are only permissible if it can be shown that the resident is able to pay but is not paying,” said Catarina de Albuquerque, who is the U.N.’s special rapporteur on the right to safe drinking water and sanitation. A water department spokesman said this week a $800,000 program to help low-income Detroiters pay their bills will be implemented in July. 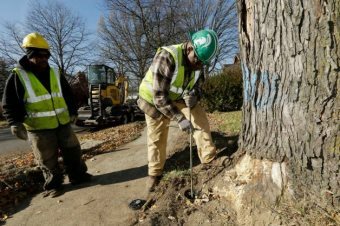 With about 90,000 city residents and businesses behind on their water bills, the water department began more aggressively collecting debt in late March, said DWSD spokesman Gregory Eno. In May, about 46,000 notices were delivered to non-paying customers and water was cut off to about 4,500 of them, he said. With 24 hours of the shutoffs, 2,700 of them paid or made arrangements to make payments and had services restored, Eno said. Eno couldn’t provide an estimate of how much is owed to the department in unpaid water bills, but said the debt contributed to the need for a 8.7-percent rate increase approved by Detroit City Council last week. The U.N. experts spoke up Wednesday after the Michigan Welfare Rights Organization, the Detroit People’s Water Board and the Canada-based Blue Planet Project sent a letter de Albuquerque last week. “Many poor people are forced to accept payment plans that they know they can’t afford just to keep their water on (or lights, gas, telephone) until the next shut-off notice,” the groups wrote. A third U.N. expert, Philip Alston, special rapporteur on extreme poverty and human rights, also signed on to the statement, without individual comment. U.S. Rep. John Conyers (D-Detroit) also spoke up on the matter this week, announcing intentions to seek federal help. Eno said $800,000 raised from private donations and from a 50-cent charge on water bills will be used to help qualifying low-income residents pay their bills. “That’s going to help out a lot of folks facing financial hardships,” he claimed. Previous articleRising Terror In Africa: How Much Of A Factor Is Oil? Obama Came and Saw But Did He Conquer Africa?